1950s or 60s oil on board, signed Ritter, purchased in NY. 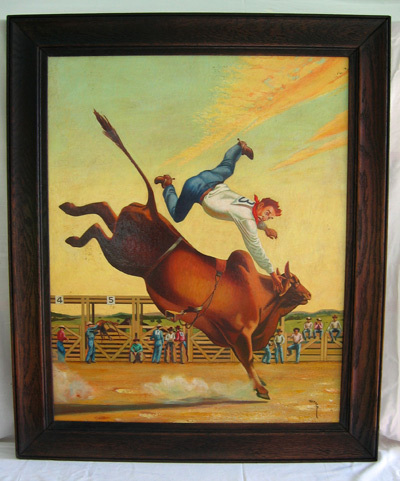 Illustrator quality on this whimsical bull riding scene, we'll let the painting speak for itself. Remounted in original frame.